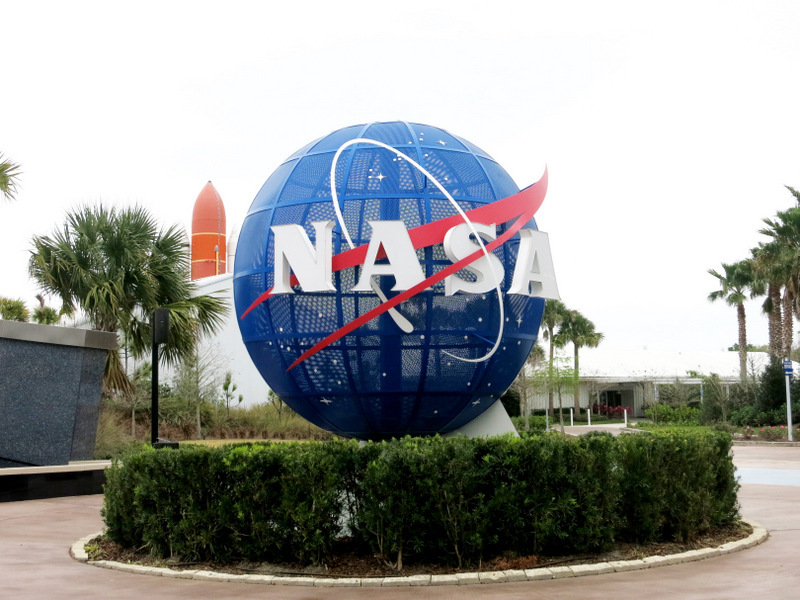 Last weekend we visited the Kennedy Space Center at Cape Canaveral. Tons of people recommended it as a “must visit” attraction on the east coast of Florida. Other than knowing that we would see some massive rockets, we really weren’t sure what to expect. Well, I am pleased to report that it exceeded out expectations. 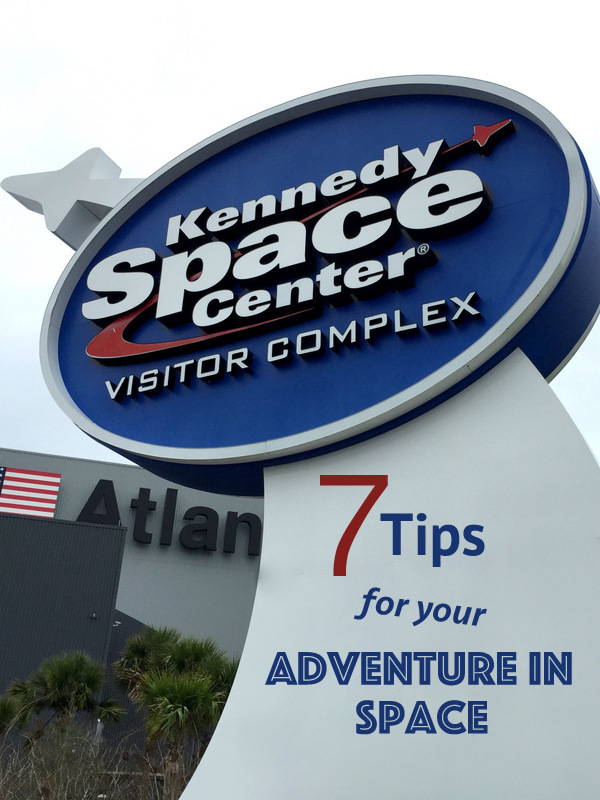 For anyone else who has the space center on their bucket list (if not, you really should add it), here are 7 Tips for Your Adventure in Space. The Kennedy Space Center is huge. Expect to spend all day exploring the exhibits. They are open from 9am to 6pm, and there is more then enough to keep you occupied all day long. We tried our best to arrive at opening, but since we’re not good at doing the early morning thing (and we had an hour drive) we didn’t get there until about 10:30. We stayed until a little after 5:30 and had time to visit almost everything. That extra hour and half would have allowed us to see the few exhibits that we missed, and maybe even visit the Astronaut Hall of Fame which is located 6 miles from the main complex (admission to the Hall of Fame is included in the ticket price). The Space Center complex is made up of multiple buildings. When you first enter the building on your left is the Early Space Exploration Hall. Start your tour here. Here you will learn about the Mercury Space Program dating all the way back to 1958. You can see the actual Mercury Mission Control Center, along with one of the original Mercury capsules. 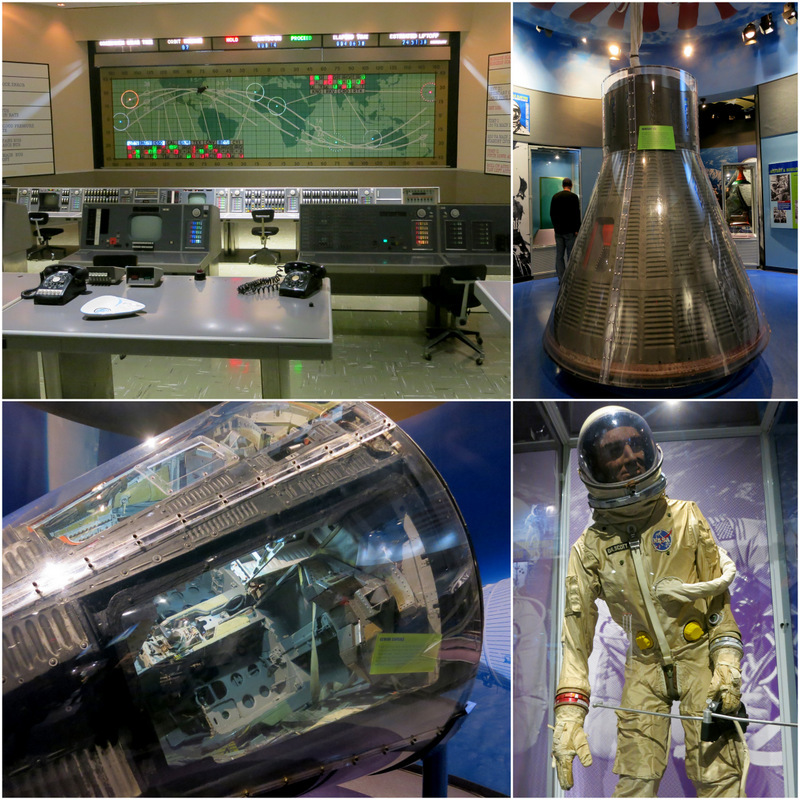 Also on display are artifacts from the Gemini Space program, including the Gemini Capsule that was launched into space on June 3,1966, along with a space suit from that same mission. This building is the perfect introduction for your journey through the space program. The Rocket Garden was one of our favorite parts of the entire complex. A dozen or so massive rockets are planted around the garden for optimal viewing. It was a blast getting up close and personal with these powerful giants. We had just finished our self guided tour around the garden when an announcement was made about a guided tour. Drat! We missed it. While the signs in front of each rocket were informative, I wish we had timed it better and taken the guided tour. Hint: stop at the information counter next to the Early Space Building to learn when the guided tours start. While there is certainly no shortage of places around the space center to get a bite to eat – places such as the G-Force Grill and the Orbit Cafe – unless you want to pay a premium for a moon rock burger and some solar fries, you’re better off packing a lunch. Here’s the catch…they don’t allow you to bring food into the complex. They do, however, allow you to exit the park and return without paying again (just be sure to have your hand stamped). This makes it super to easy to bring your lunch, leave it in the car, go retrieve it when the time comes, and set yourself up at one of the picnic tables by the entrance gate. And just like that you’ve saved yourself from a mediocre meal and about thirty bucks. Or…you could follow our example and park your kitchen in the parking lot. Since we had the Airstream with us it only made sense to go back to the parking lot, make some sandwiches, and kick back on the couch for 20 minutes. Included in your ticket price is a two hour bus tour. Don’t skip it! Also, be aware that the last bus departs at 3:30 so plan accordingly. The bus takes you around the launch sites, including the ones that are leased out to a private company called Space X. You will also travel past the massive Vehicle Assembly Building (VAB) where NASA is currently constructing a rocket that will eventually take astronauts to Mars. The bus doesn’t stop at these areas, but the driver provides an informative running commentary about everything you see out the window. 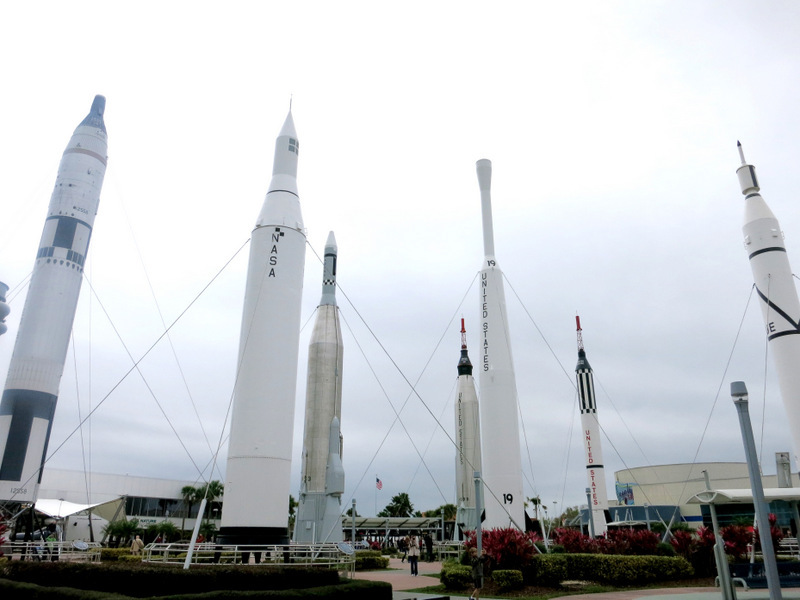 After viewing the launch pads, the bus will drop you off at the Apollo/Saturn V Center. Here you are treated to a theater re-creation of the Apollo Launch and an up close view of the Saturn V rocket. The giant hall where the rocket is housed is filled with information about all 17 Apollo missions. 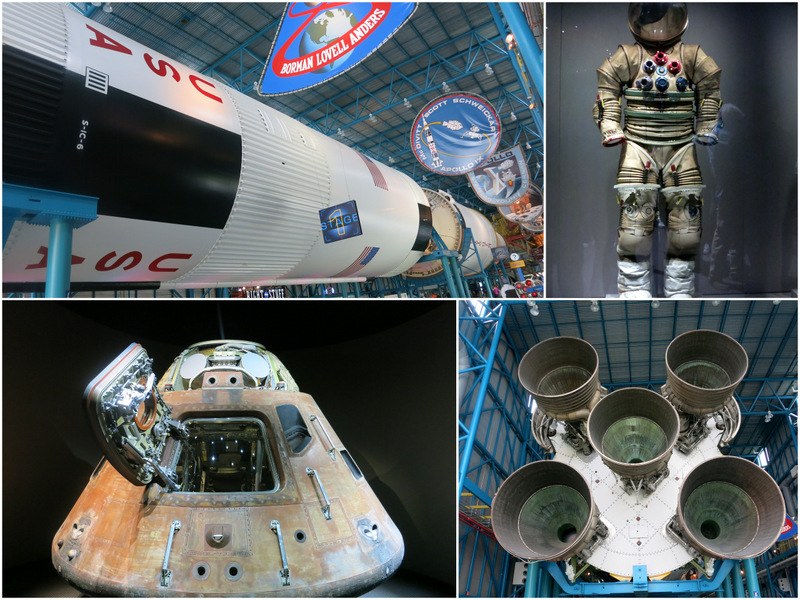 You can see the Apollo 14 capsule on display, touch an actual piece of moon rock, view the transformation of space suits over the year, and much, much more. 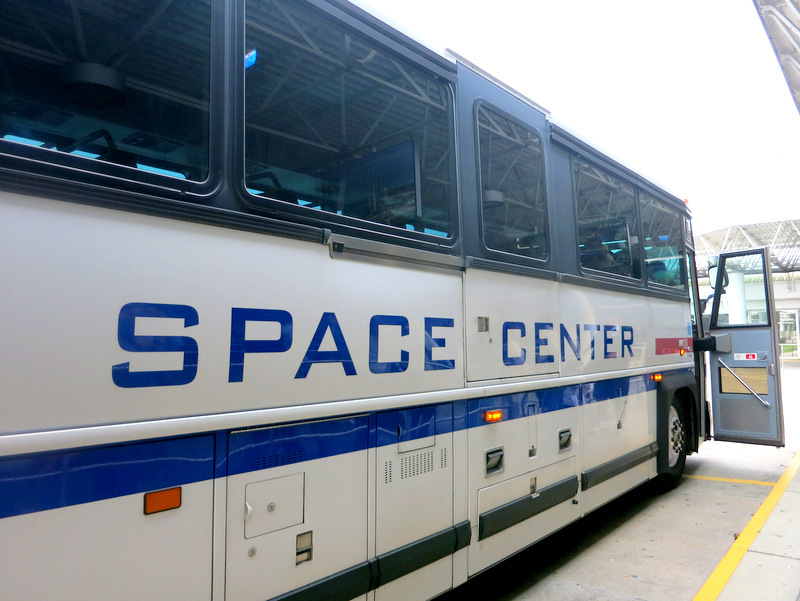 The only way to access the Apollo/Saturn V Center is on the bus tour, so be sure to make it a priority. 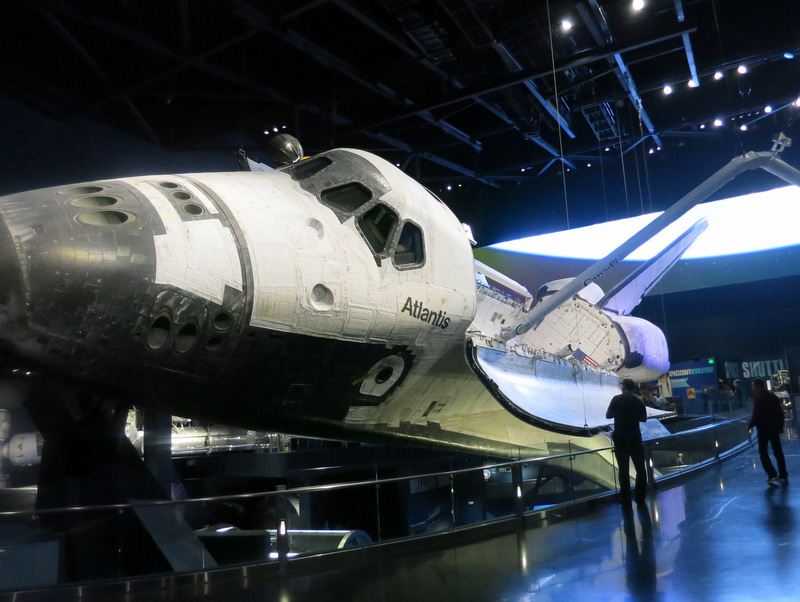 If you want to see the actual Atlantis Shuttle (and trust me you do) then the Space Shuttle Atlantis Building is a must visit. Allow yourself plenty of time to explore this exhibit. The experience starts with a short film about the shuttle program, after which you can view the shuttle up close, check out informative displays, strap in for the shuttle launch ride (which we skipped due to lack of time), and of course, have your photo taken in front of the Airstream Motorhome used to transport astronauts to the shuttle. There are two IMAX 3D movies that run all day. One is about the Hubble Telescope, and the other is called Journey to Space and tells the story of how the space shuttle program has set the stage for the deep space explorations to come. We watched the second one and it was fascinating to learn about how they are building a rocket and training astronauts for this exciting new venture that will eventually take us to Mars and beyond. Again, admission is included with your ticket and the show times run all day, so you have no excuse not to see one (or both) movies. 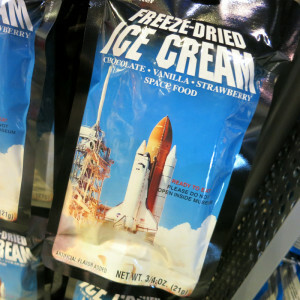 Don’t forget your freeze dried ice cream! » Parking is $10/ car or $15/RV. 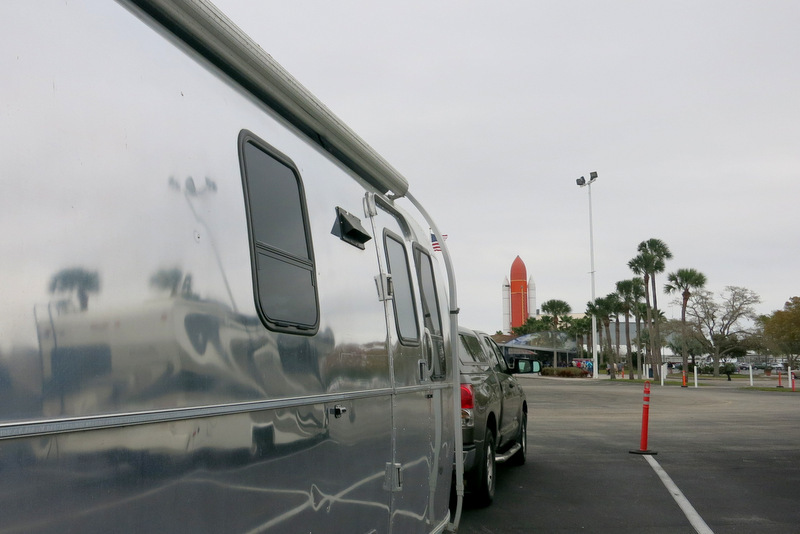 We brought the Airstream and had no problem finding parking. » If you’re looking for RV camping nearby your closest options are the Jetty Park Beach & Campground or Carver’s Cove RV Park. Thanks for the info on the new IMAX movie. I still enjoy the Hubble movie. I went there today, but too crowded for me. I go most every week and still enjoy it. The Hall of fame is very informative and really done nice. Thanks. How cool that you get to go every week! It certainly is the kind of place you could return to over and over again. The new IMAX is worth checking out. 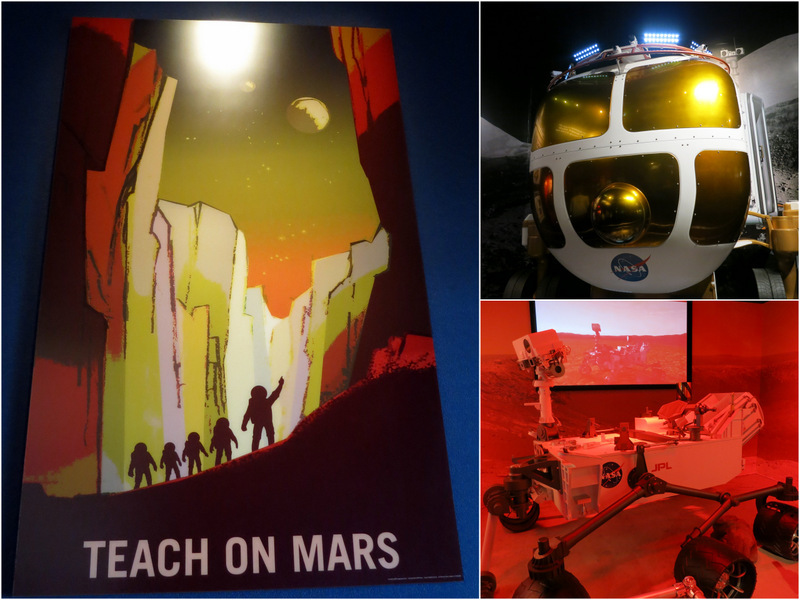 I loved learning about the Mars program. Great tour, thanks for sharing. We went there years ago, but I don’t remember seeing all you did. Perhaps it wasn’t all there back then. Looks like we need to go back. I think some of the exhibits are new. There was even one still under construction, so they must add new stuff all the time. I was there as a kid many years ago — my dad’s company built the doors for the VAB and he wanted to show it to us. All I remember is that it was enormous! Eric just told me he wants to go there next winter when we’re in Florida. Thanks for the great tips, Amanda! 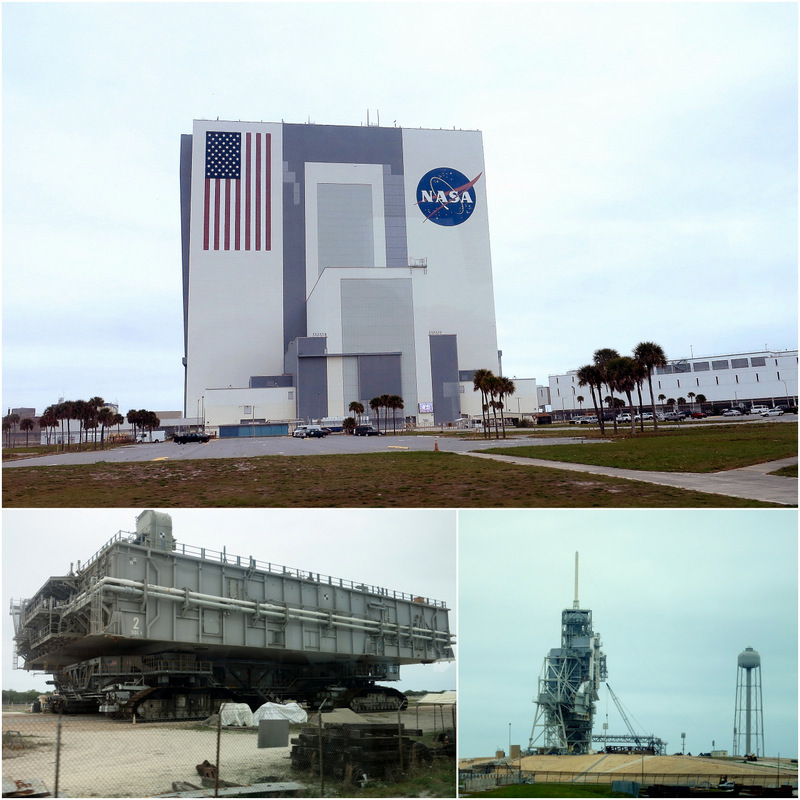 We learned the at the VAB is the largest single story building in the world. How cool that your dad was part of it! You should definitely make a return visit. Thanks for the write-up. I was just about to cross this off our list because we were just at Johnson Space Center a few months ago but this looks much more awesome! Plus, the Airstream..duh. We went in February and there was risk of rain (but also a launch scheduled) but crowds were not overwhelming. I would not want to visit during pay months. We saw almost everything except the bus tour – we just ran out of time to see everything in one day. Food at the rocket cafe was mediocre but they had an efficient ordering system using terminals. Great tip about leaving food in a car cooler for later. IMAX movies were great but remember to wear contacts if you are a glasses wearer (3D glasses fit poorly over your regular glasses) – I forgot. Shuttle exhibit was fantastic, but the simulator ride inside was disappointing. 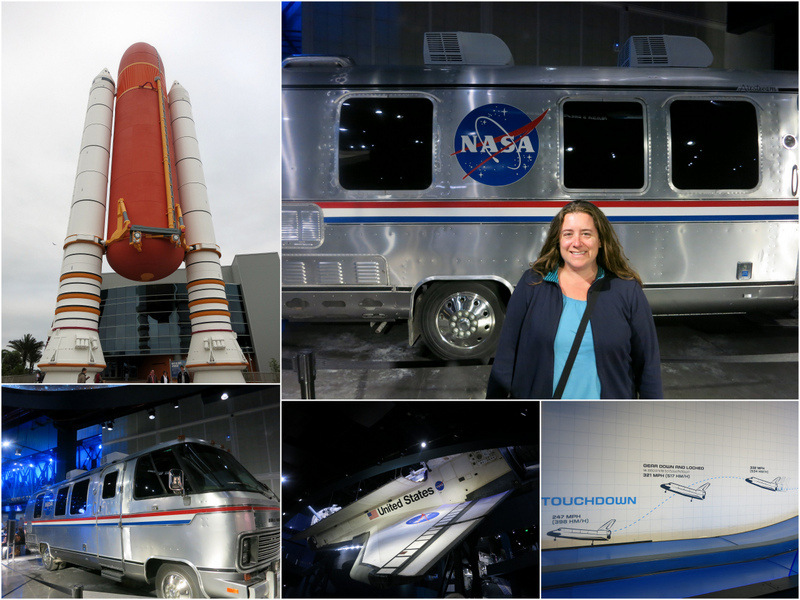 We visited the Kennedy Space Centre in January – great time. The only disappointment was the 3D IMAX film about the Hubble (in part because I really don’t like 3D films). 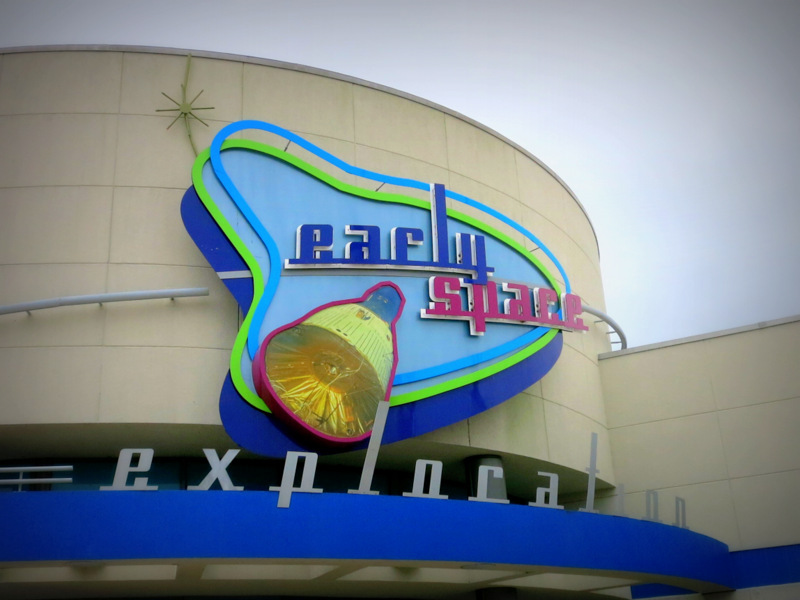 The time would have been better spent in the Early Space Exploration hall which was closed after we left the film. The Apollo/Saturn exhibit was excellent. I’m still in awe of the Saturn V rocket. We didn’t see the Hubble film, but I agree that the Early Space Exhibit is better than any 3D film. We also loved the Apollo/Saturn exhibit. 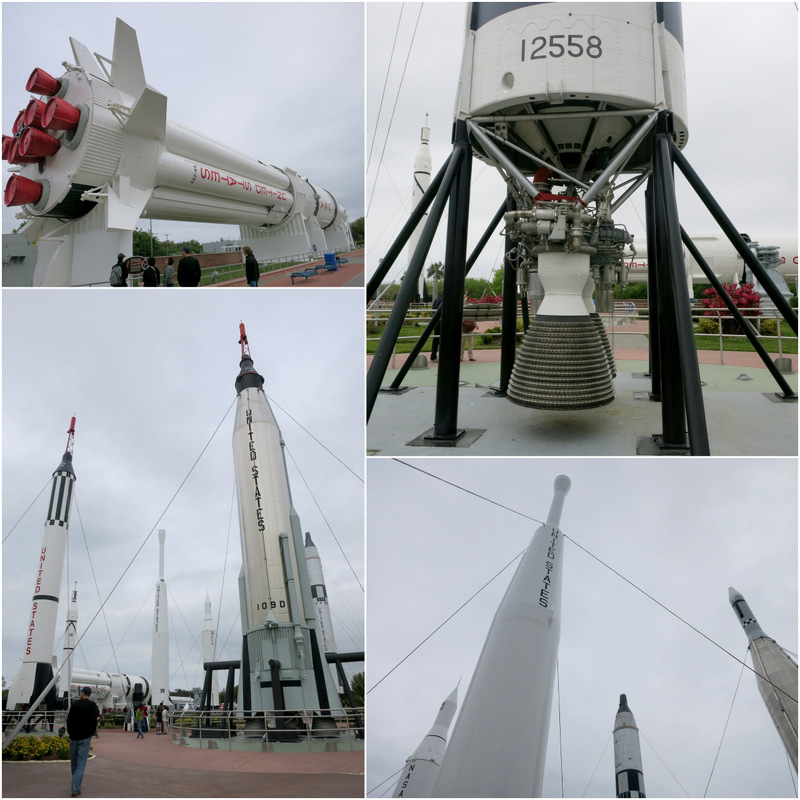 The rocket was amazing and we were so thrilled to see it up close and in person. So happy to hear that you had such a great time! I think they do a great job of making sure the exhibits are fun for the entire family. Skipping the bus was probably a good idea. Most likely he wound’t have enjoyed the tour, although seeing the Saturn Rocket was pretty amazing. We are headed there in a couple of day and will be staying at the jetty park rv campground. My question is without a car how does one get from the campground to the space center? I would suggest you call the campground and ask if they provide transportation. Thank you very much for your post. This is very helpful! We are going next week and are excited. Do you recall if the buildings were cold due to the AC? I am very cold natured (I wear jeans to the movie theater even if it’s the dead of summer) and am wondering if I should wear jeans when we go. Thnak you for any help you can give! It was kind of cool day when we visited so I’m pretty sure I was wearing pants anyway. I do remember that it was very chilly in the Imax theater so I think pants would be a safe bet. If money was no object and you had a full day and a half day what would you all suggest. ( I am quite space geeky ). I think any of the options that allow you spend time with an actual astronaut would be very cool! I appreciated your tips, we went today! We had a great time. A couple of additional tips…our group wore greenish blue today and some of those that the shirts were more green disnt work well with the green screen tech of the photo pass. I also wish KSC gave out more clear info as you entered about where the photo ops were…the photo people didn’t seem to understand what I was asking about if there was more than one and where they were. We had one photo op before boarding bus tour to apollo, and 1 in the bldg for the Atlantis. Supposedly there was at least 1 or 2 more. They wanted us initially to buy the pics after bus tour but I did finally get a better answer after wasting time in line that there was the one in atlantis so I could choose my pics after that phot using the same photo band. Second added tip was that we did the last showing of the 3d imax movie a beautiful planet starting at 630 (on an extended day til 7pm) …the movie goes to 715 so we actually go to stay past closing and meander slowly out taking pics of the space station mural and the rocket garden. It is true, there is a lot to see and we didn’t get there until 1140 so misse dout on a few exhibits but what we did see was awesome, especially the bus tour and the Atlantis ( we had been to the discovery at the smithsonian a couple yrs ago so it really tied in to see it at a different angle). We were actually going to ajip the imax due to kids being tired and hungry but decide to do that last show …so glad we did! Thanks so much for the added tips! Ps. We did eat before we went but got snacks and light fare at the cafe at apollo site…the soup (tomato florentine)was actually really good and reasonable price. $3.99 cup. Good to know. Seems the food can go either way at these kind of places. Nice post. You did not mention Science on a Sphere which is one of our favorites. It is a giant globe that projects data about Earth/Mars/the Moon etc onto it so its 3D. Its housed near the iMax movie. It has seating and running lectures about the planet being displayed. Check it out! So thrilled that I found this site. I’m take my very space/NASA obsessed 11 yr old to KSC on 7/21. He is so excited and now that I have this insider info it’s sure to be a very fascinating wonderful time so again thank you for the tips and pics!! Good to find your site, looks like y’all are having amazing adventures. Going to WDW in a couple weeks with our 5 year old grandson. I’ve been to KSC before, bout 10 years ago or so. Had a great time then, and looking to taking a day off from the mouse and showing Julian some truly wondrous sights, he has already expressed an interest in being an astronaut…as have most all 5 year olds I suppose! But PaPa is trying to fan this flame with Estes Rockets launched here at home. Have a good one, maybe catch up with you one of these days! Thanks a lot for sharing your experience. I plan to take my family to the KSC next week!! !